Spring is already here and the desire for relaxation and getting together in the open air begins to make its way in our thoughts. Whether you have a garden, a terrace or a balcony, this is the perfect time of the year to think about renovating your outdoor spaces so that they are ready and functional for the summer season. The Eco-bonus 2019 may be convenient for those who intend to renew their houses. Thanks to this provision, you will be entitled to interesting tax deductions: the Green bonus 2019, for example, provides a deduction of 36% for the modernization of balconies, terraces and gardens. Outdoor spaces are full of charm, even if they are small or placed in apartment building contexts. These living spaces can be adapted to one’s needs by choosing the right solutions, therefore they will be perfect to enjoy together with your guests or during the moments of relaxation. Before considering the choice of the hammocks, armchairs, plants and flowers, an important intervention that can completely change the perception of the outdoor spaces is the choice of right flooring. 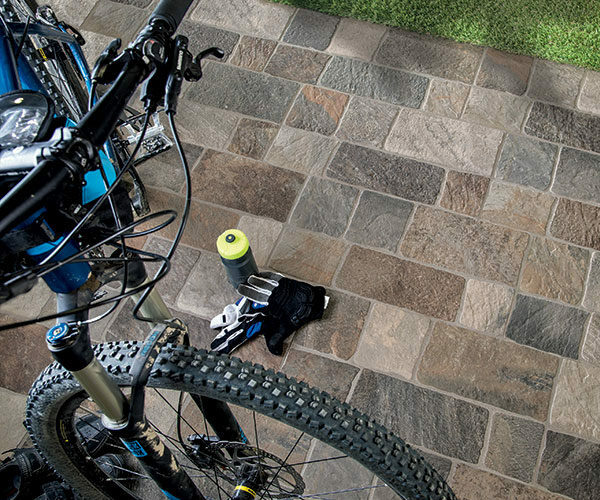 We recommend choosing outdoor flooring that is waterproof and anti-freeze, resistant to loads, resistant to atmospheric agents and temperature changes, low propensity to mould and stains, as well as preferably non-slip. The choice of the colour of the external flooring has to be in harmony with the style of the house and the interior design but generally, a light colour is recommended in order to not attract sunlight and limit the heat in the summer. Dark colours are preferred when outdoor spaces are exposed to the sun only for a few hours. 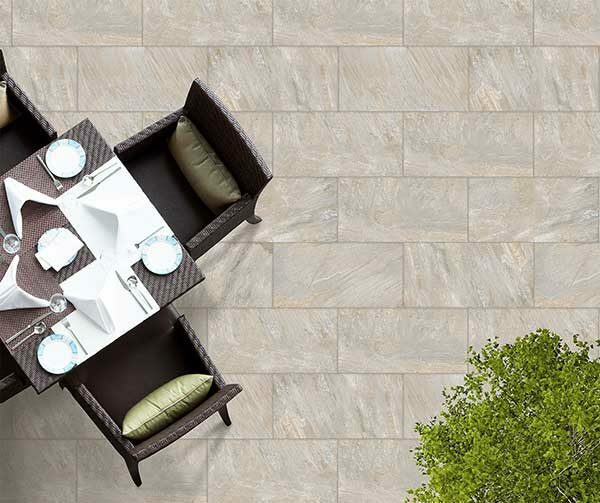 Ceramica Mediterranea offers a wide selection of porcelain stoneware tiles that are suitable for outdoor use and are simple to install, creating pleasant walkable areas such as verandas, terraces, solariums and relaxation areas. Stoneware is not porous, so it does not absorb liquids, which means that it does not stain, does not crack, and does not need any surface applications or special maintenance. 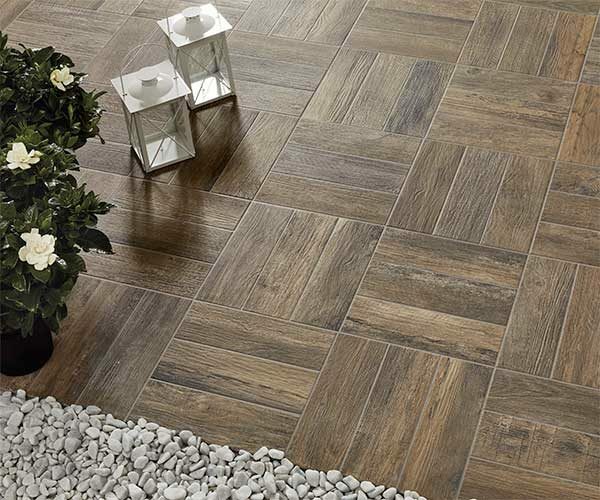 Ceramica Mediterranea has developed a production process that allows to limit the consumption of natural resources and reduce the environmental impact. 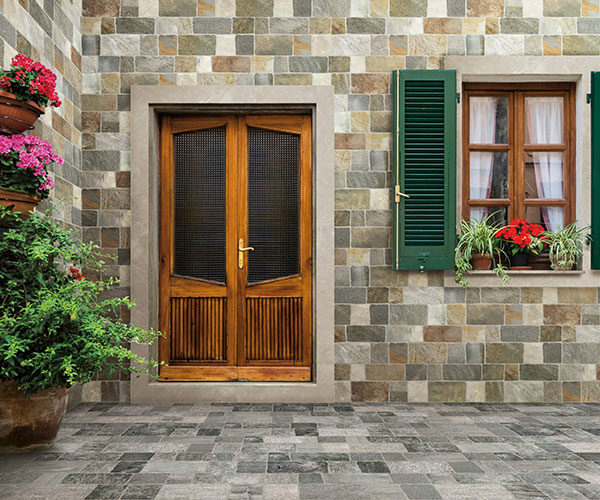 Absolute resistance and optimal performance, the stone-effect flooring and external covering of the PEDRA collection is suitable for any type of outdoor solution. Its textured and irregular effect, similar to natural stone, gives personality and rusticity to the location. It is available in different colours, from grey to Sienna, in the format of 30.2×60 cm. It can also be used as an external wall covering, as well as for flooring. The Apuano collection has a more neutral and less material identity than the Pedra collection. It replicates the chromatic heterogeneity of natural quartzite and its irregular but sober and elegant surface. It is suitable for more contemporary spaces and can be combined with different styles of outdoor and indoor furnishings, and is perfect for creating continuity between the interior and the exterior of the house. It is available in light grey, dark grey, multicoloured and beige, colours that have good reflectance (they do not overheat in the sun) and that optically make the spaces wider. 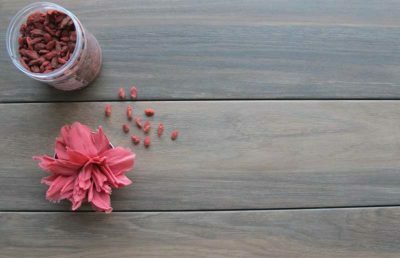 Wooden floors give warmth and enhancement to every space but they have the disadvantage of not being very suitable for outdoors without repeated treatments and due attention. Wood-effect porcelain stoneware is the ideal solution to recreate the harmony and warmth of wood for your terraces, balconies and gardens: the beauty of wood and the simplicity of use and robustness of the stoneware. The FLOT collection, available in different colors (oak, walnut, wood and grey) is distinctive for the rectangular 30.2 x 60 cm tiles (and skirting boards) that create a game of square joints. Textured to the touch, non-slip, resistant to frost and trampling. Would you like to discover other collections that are perfect for your garden, terrace or balcony? 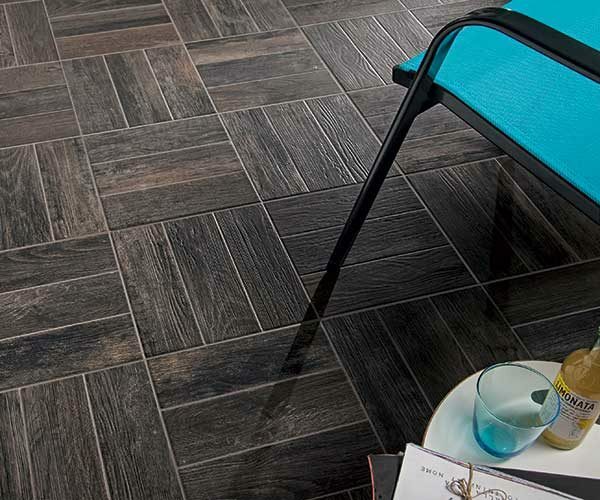 Discover the collections of Ceramica Mediterranea and find the solution that best suits your needs! 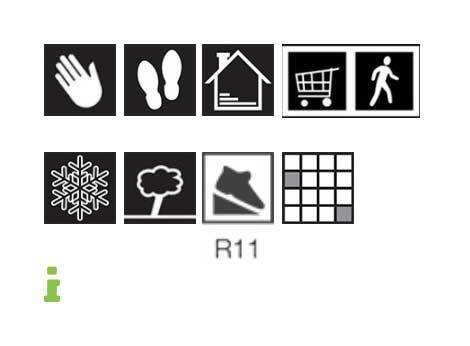 Each collection has specific symbols that will help you to understand if the tile is suitable for your renovation project. Click on the “i” to read the legend.